2009 Children's Choice Book Awards Finalists Announced! 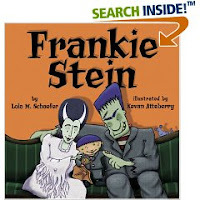 You are viewing the most recent posts tagged with the words: Childrens Choice Book Awards in the JacketFlap blog reader. What is a tag? Think of a tag as a keyword or category label. Tags can both help you find posts on JacketFlap.com as well as provide an easy way for you to "remember" and classify posts for later recall. Try adding a tag yourself by clicking "Add a tag" below a post's header. Scroll down through the list of Recent Posts in the left column and click on a post title that sounds interesting. You can view all posts from a specific blog by clicking the Blog name in the right column, or you can click a 'More Posts from this Blog' link in any individual post. The votes are in from kids across the U.S. and the winners were announced on May 7 in New York City. The Children's Book Council sponsors the event each year, in which children choose the books they liked best. Click on the link to see what the results were for this year. The Children's Book Council hosts the Children's Choice Book Awards. The favorite book finalists for this year were determined by close to 15,000 children and teens. I highly recommend checking out these books! The 2010 installment of Children’s Book Week—an annual event that has been running since 1919 in the US—is starting today. Hurray! The Children’s Book Council website has a list of official events taking place across the country, including the the Children’s Choice Book Awards Gala, happening tomorrow in New York. You can see some of the finalists here, and by visiting A Story Before Bed you can enjoy three finalists reading from their nominated books (A Story Before Bed is a cool site that allows you to record yourself reading a children’s book and to share your recording with others). Those on Twitter can keep tabs on the week’s various happenings by following the hashtag #kidsbookwk. This year’s lovely poster was created by artist and author Jon J Muth, of Zen Shorts and Zen Ties fame. The lovely fuzzball on the poster is Stillwater, “the panda with a calm, Buddha-like demeanor”, who appears on both these books. Now get into the spirit and follow Stillwater’s lead: snuggle up with your children and read books together! Kids and teens can go and vote for their favorite books, author, and illustrator starting today, at bookstores, school libraries, and online. Voting runs until April 29, 2011. You might find a new book that appeals to you in the finalists. I know I’m going to look through them. 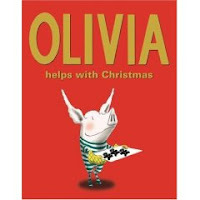 The 2011 finalists for the Children’s Choice Book Awards have been revealed. Kids can vote from March 14th to April 29th, and the winners will be announced live at the Children’s Choice Book Awards gala in May. Individual title nominees have been divided into four groups classified by different school grades. In the Author of the Year category, teen fiction writers dominate. The nominees include Suzanne Collins for Mockingjay, Stephenie Meyer for The Second Short Life of Bree Tanner, Rick Riordan for The Lost Hero, Jeff Kinney for Diary of a Wimpy Kid: The Ugly Truth, and Cassandra Clare for Clockwork Angel. Children of all grades are encouraged to vote for the Illustrator of the Year award. Those nominated for in this category include Loren Long for President Barack Obama‘s Of Thee I Sing: A Letter to My Daughters, David Wiesner for Art & Max, Mo Willems for Knuffle Bunny Free: An Unexpected Diversion, Robin Preiss Glasser for Fancy Nancy and the Fabulous Fashion Boutique, and Nancy Tillman for Wherever You Are: My Love Will Find You. Who do you want to win? Today marks the beginning of Children’s Book Week (CBW) 2009, an annual celebration of books and reading since 1919, hosted by the Children’s Book Council. With events taking place in New York, Chicago, Boston and Seattle, Children’s Book Week is dedicated to making every child a reader. And, what better way to promote reading than to provide children with the ability to tell us what authors and books deserve praise? On May 13th the Children’s Book Council will announce the winners of this year’s Children’s Choice Book Awards, which tallied 220,000 votes from kids nationwide! In the meantime, be sure to visit the Children’s Book Week Web site to order your 2009 CBW poster, illustrated by artist Ian Falconer and featuring Olivia. You can also download this year’s official CBW bookmark, illustrated by Dan Yaccarino. Children’s Book Week provides children with a voice and adults with a way to dive back into their imagination. That’s right, not only are there events for children and teens, such as author signings and storytelling, but teachers, librarians, booksellers and publishers can also help and enjoy this year’s Children’s Book Week. Find out more and what you can do for Children’s Book Week 2009 online and happy reading! The winners of the Children's Choice Book Awards have been announced. Lori is the National Children's Book Examiner, so you may want to consider susbcribing to her posts to keep up with publishing news. Thanks so much for recommending the article, Mayra! You might have noticed this new widget I have on my sidebar, courtesy of JacketFlap and the Children’s Book Council. It is announcing several nominees for the Children’s Choice Book Awards. In case you didn’t know, the Children’s Choice Book Award nominees have been announced in each category: Kindergarten to second grade, third to fourth grade, fifth to sixth grade, teen choice, author of the year, and illustrator of the year. There are five books or people nominated in each category. Here’s a little blurb about the contest from the CBC website: “The favorite book finalists were determined by close to 15,000 children and teens. Thousands more will be able to cast their votes for their favorite book, author, and illustrator at bookstores, schools, libraries, and at BookWeekOnline.com from March 15 to May 3. To see the full list of nominees, you can go here. So, mark your calendars to let your children or your students vote on their favorites. If you haven’t read these books, then go to the library or bookstore and check them out! You have until May 3 to vote, so that’s plenty of time to devour these titles. If you have a favorite from the list, let us know here. You can find some of these authors and their books on this site. Go to the second sidebar on the right-hand side of this page, go to the category they write (such as YA), and click on their name. I have reviewed and provided activities for Suzanne Collins, James Patterson, Cassandra Clare, and Carl Hiassen. The Children’s Book Council and Every Child a Reader are excited to announce that voting for the Children’s Choice Book Awards is now open on the Children’s Book Week website. Reader will be able to vote for their favorite books until May 3. Kids can select their age group and vote here. Teens can go straight to the Teen Choice Book Award page to vote. Teachers, booksellers, and librarians can enter group votes for their young patrons here. Take a moment to spread the word and give young readers a voice in their reading choices! Get ready, get set, and vote for your favorite book in the kindergarten to 2nd grade age range. In case you don’t have time to read these fabulous books (although we highly suggest you do) here is some information about each of the K-2 Children’s Choice Book Awards Finalists! All Danny really wants for his birthday is a turtle. Turtles are fun to watch, quiet, don’t get fur everywhere and most importantly, don’t run away! But Danny’s family has different ideas about what pets are best! After a dog, a kitten, a bird and even a rat, Danny finally gets his birthday wish. Follow Danny and his pet adventures with Kevin O’ Malley’s charming colored-penciled illustrations, and Ellen Javernick’s delightful stanzas. A perfect story for any child who has ever had their heart set on a pet! LuLu has had enough of everyone telling her she is too small to do things! Sure she is small, but she wants to be big, so LuLu decides to run away! On her journey to far, far away, LuLu encounters some big animals: a horse, a cow, a sheep and finally a very loud crow! Luckily for LuLu her mom is not too far behind. LuLu the Big Little Chick, a story of a little one’s big determination and the power of a mother’s love, is the perfect story for any child who is ready (or not so ready) to take on the world! Mouse sure is hopping mad, but he doesn’t know what to do about it! Should he scream like Bobcat? Stomp like Bear? Or hop like Hare? Finally Mouse learns that maybe his own way of being mad is better than anyone else’s. Linda Urban’s story uses a charming mouse to teach kids about self-expression, and more importantly, that no one’s feelings are exactly alike. 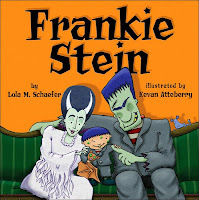 Check out a book review by our very own Erica Perl and her daughter Bougie. Don’t wait until it’s too late to vote for your favorite books in the teen category. In case you didn’t have time to read these great books or just want to see what the buzz is all about, here is some information about each finalist. Ever is now an immortal and embracing her debut into the dark world of her love, Damen. Yet, something is seriously wrong. As Ever’s powers become stronger, Damen grows weaker. In a desperate attempt to save him she travels to Summerland, where she is forced to decide between saving her one true love or going back in time to save her family from the accident that killed them. In the late st installment of the Vampire Academy, Rose Hathaway, who is half human and half vampire, is put to the ultimate test: can she destroy the person she loves most? A group of evil vampires called the Strigoi attack St. Vladimir and claim Dimitri, the love of Rose’s life, as their own. She must abandon her best friend Lissa and keep the promise Dimitri begged her to make long ago. Katniss has won the hunger games and to everyone’s amazement, Peeta Mellark and her are still alive. Instead of feeling happy, Katniss is miserable when she returns home because everyone holds her at an icy distance. Worst of all, Katniss fuels an unrest she is afraid she cannot stop. The time comes for Katniss and Peeta to visit the districts on the Capitol’s cruel Victory Tour but things can go from bad to worst if they can’t prove their love for each other. This is a thriller that will surprise readers at every turn. To save her mother’s life, Clary must risk everything and travel to the City of Glass, the home of the Shadowhunters. As Clary uncovers information about her family’s history, she finds an ally in a Shadowhunter named Sebastian. With the evil Valentine mustering his power to destroy all Shadowhunters and Downworlders, both groups must fight alongside their eternal enemies in order to protect their livelihood. Can Clary harness her newfound powers to help save Glass City-whatever the cost? This is the final installment of bestselling series The Mortal Instruments. Monday May 3rd marks the close of voting for the Children’s Choice Book Awards. Be sure to vote for your favorite book for the 3rd and 4th grade before time runs out! Walking many miles to school in the dusty road, young Coretta knew, too well, the unfairness of life in the segregated south. A yearning for equality began to grow. Together with Martin Luther King, Jr., she gave birth to a vision and a journey—with dreams of freedom for all. This extraordinary union of poetic text by Ntozake Shange and monumental artwork by Kadir Nelson captures the movement for civil rights in the United States and honors its most elegant inspiration, Coretta Scott. After Gonzalo wins the lottery, he decides it’s time to leave the farm and go out to find the good life. He tries everything, from golf to boating to solos in the church choir — but no matter where he goes or what new adventure he embarks on, Gonzalo still does not find what he’s looking for. What will make this sassy rooster happy? This rollicking story, with its bright, colorful illustrations, will remind readers that sometimes contentment is right in your own backyard. What if a sixteen-year-old assistant traveled aboard the storied Nautilus, the narwhal-shaped submarine of 20,000 Leagues Under the Sea? And what if he were the sole survivor of the ill-fated voyage and went on to relay his adventures to a certain . . . Jules Verne? Find this brave young man’s own account in the lavishly illustrated Oceanology, a tale of an 1866 voyage of discovery that investigates diving bells and shipwrecks; coral reefs and ice canyons; sharks, giant octopi, and luminous sea monsters; underwater volcanoes, and even the legendary island of Atlantis. Zero to 60 in 3.4 seconds. No, it isn’t the latest super car or souped up motorcycle. In fact, these “vehicles” have no metal parts, engines or wheels at all. They have names, though. They are Majani and Kubali, brother and sister cheetahs who reside at the San Diego Zoo and are featured every weekend at the San Diego Wild Animal Park’s Animal Shows. Majani and Kubali put on speed exhibitions at the new San Diego Wild Animal Park’s “Cheetah Run Safari” where guests line the track and can get an up close, thrilling view of the animals as they dash past, chasing a small mechanical lure at speeds well in excess of 60 miles per hour. Majani, whose name means “grasslands” in Swahili, is the larger brother of Kubali, whose name means “to accept” in Swahili. Majani also holds the distinction of being the largest and heaviest zoo kept cheetah in the country, weighing in at 144 pounds. The largest and heaviest cheetah recorded in the wild was scarcely one pound heavier at 145 pounds. Because of her size and weight advantage, Kubali is slightly faster than her brother. This may also be due to the fact that, like many big cats, female cheetahs must develop better and more effective hunting skills since they are responsible for catching and providing food for their cubs. But what is probably most charming about these two magnificent animals at the San Diego Wild Animal Park is the fact they have befriended two dogs from the local San Diego Humane Society. That’s right. Cats and dogs, living together. Clifford is a labrador and Bear is a labrador/chow who were “assigned” to Majani and Kubali respectively, and act as a calming influence on the big cats when they are performing for the public. Like all cats, cheetahs can be somewhat reclusive in unfamiliar situations, but with their companions around, it seems the brother and sister team have an easier time of it during the Cheetah Run Safari shows. Just for fun, the park staff lets Clifford and Bear out on the track for trial runs before the stars of the show take to the starter’s blocks. While they are probably quite capable runners, as some dogs are, labradors don’t quite compare to the fastest land animal on the planet. After their runs, the big cats are fed and spectators have an opportunity to listen as their loud purring is heard throughout Cheetah Outpost. The Cheetah Run Safari is available on weekends to spectators and guests by reservation and requires an additional fee which does not include admission to the San Diego Wild Animal Park or Zoo. The program includes refreshments and a 5×7 photograph of one of the cheetahs from the show. The third “dog and cat” team at the San Diego Zoo and San Diego Wild Animal Park is also a dog and cheetah team like Majani and Clifford or Kubali and Bear. They are Karroo and Sven, a cheetah and golden retriever team that appears in the “Wild Ones” show in the San Diego Wild Animal Park’s “Cat Canyon” area. Karroo and Sven Olaf are the current caretakers of a historical dog and cheetah tradition at the park’s Cheetah Run and Cat Canyon, signified by a plaque commemorating the original team at Wegeforth Bowl in the park. The original team, consisting of a cheetah named Arusha and a golden retriever named Anna, performed and worked at the park together well into their old ages. Chobe and Jessie followed, and now, the featured dog and cat team of Karroo and Sven continue to thrill and delight audiences at the San Diego Wild Animal Park’s many shows and attractions, including the Zoo’s show at the Hunte Ampitheater. Cheetahs are a unique species, and are among the most specialized creatures in nature. Their bodies are a wonder of aerodynamics, agility, speed and strength, and there is undoubtedly still much to be learned about the way they hunt and survive in the wild. Cheetahs live considerably longer in captivity than in the wild, and this will hopefully provide more opportunties to help this spectacular big cat overcome some of the challenges that are facing the 12,000 remaining cheetahs in the world, including inbreeding, genetic defects and various viruses and infections that cheetahs are susceptible to. But in the meantime, there’s no reason that people cannot marvel at the incredible abilities of Majani, Kubali and Karroo at the San Diego Zoo and San Diego Wild Animal Park. There is no better way to learn to appreciate wild animals, their habitat and humanity’s relationship with nature than to see nature’s strength and dignity in person, and that is precisely the opportunity shows like the Cheetah Run Safari and the Wild Ones provide. Endangered species like the cheetah and many others around the world are everyone’s responsibility, and learning more about both endangered species and species with healthy populations is an excellent way for people to develop a more profound understanding of both the world we live in and the challenges we share in preserving the natural world around us. This comment is really a question and not at all related to your post - but couldn't find any email contact for you. I am a middle school librarian and as I was weeding the shelves today of books 20+ years old I couldn't help but observe just how cheesy and, well, juvenile, art work was on many books aimed at this age book. So many books today have such beautiful, artistic covers that seem like they might actually stand the test of time. I've also noticed a trend for YA books to use photography as opposed to drawings. Anyway, this led me to become curious if there was anything written about a)the history of trends in YA lit illustration and b) anything written about trends in YA book cover illustration today. Thanks for posting this (and the image of Frankie) Alice!! I am absolutely thrilled about this! The children have spoken and the winners of the Children's Choice Book Awards are. . .
20. 2009 Children's Choice Book Awards Finalists Announced! Choice Book Awards. Awards, awards, awards--say that ten times fast!! To fill ya' in...Finalists were announced on February 26th by the Children's Book Council. The favorite book finalists were determined by close to 15,000 children and teens. But now it's in the hands of young readers to cast their votes at www.BookWeekOnline.com from March 16th through May 3rd. Winners will be announced live at the Children’s Choice Book Awards gala on May 12th in New York City as part of Children’s Book Week (May 11-17, 2009), the oldest national literacy event in the United States. Hi Lori...yet another fantastic post...filled with wonderful info. Thanks for always posting something interesting and fun to read! Keep up the great work! Thanks for taking the time out to read my interview at Suite101.com...much appreciated. 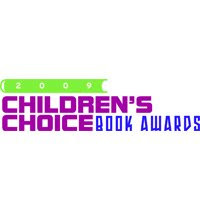 About a month ago, we shared that voting had begun for the 2009 Children’s Choice Book Awards. Now voting is easier than ever, thanks to the widget (posted at left) provided by the Children’s Book Council and JacketFlap. Teachers, librarians or booksellers can easily record votes from your students on the Children’s Choice Book Award voting site. Voting ends May 3rd, so be sure to tell a friend and help the kids in your life make their voices heard!